Shop online for 59 cyber plastic models at discounts up to 62%. Airplanes is the most popular of the 4 cyber plastic models categories, then Cars / Trucks / Vehicles, and Ships. 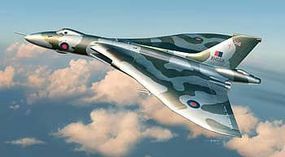 This is the 1/200 Scale Arvo Vulcan B.2 Plastic Model Kit from the Modern Air Power Series by Cyber-Hobby. Suitable for Ages 14 & Up. 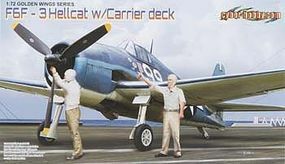 This is the 1/72 Scale F6F-3 Hellcat With Carrier Deck Plastic Model Kit from the Golden Wings Series by Cyber Hobby from Dragon. Suitable for Ages 14 & Up. 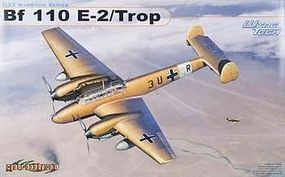 _ This is the 1/32 Scale Messerschmitt Bf 110 E-2/Trop Plastic Model Kit from the Warbirds Series by Cyber-Hobby. Suitable for Ages 14 & Up. 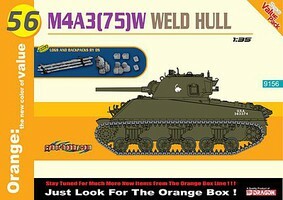 This is the 1/35 Scale M4A3(75)W Welded Hull Plastic Model Military Vehicle Kit by Dragon. 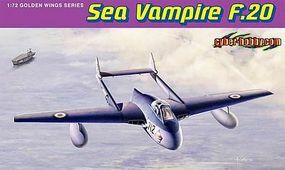 This is the 1/72 Scale Sea Vampire F.20 Plastic Model Kit from the Golden Wings Series by Cyber Hobby from Dragon. Suitable for Ages 14 & Up. 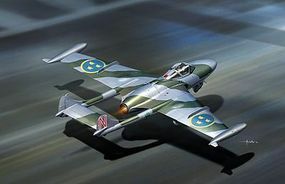 This is the 1/72 Scale DH-112 Venom NF-3 Plastic Model Kit from the Golden Wings Series by Cyber Hobby from Dragon. Suitable for Ages 14 & Up. This is the 1/35 scale Sd.Kfz.10 Ausf.A 1940 #68 Plastic Model Kit by Cyber Hobby. Suitable for Ages 14 & Up. 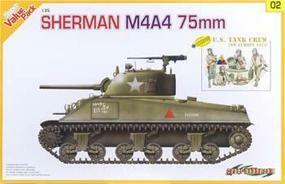 This is the 1/35 Scale M4A1 (76)W VVSS Plastic Model Military Vehicle Kit by Dragon. This is the 1/72 Scale A-25A-5-CS Shrike Plastic Model Kit from the Golden Wings Series by Cyber Hobby from Dragon. Suitable for Ages 14 & Up. This is the 1/700 Scale USSR Admiral Nakhimov & USS Dallas Plastic Model Military Ship Kit by Dragon. This is the 1/72 Scale Gloster Meteor F.3 Plastic Model Kit by Cyber Hobby Suitable for Ages 14 & Up. This is the 1/72 Scale F6F-5N Hellcat Night Fighter Plastic Model Kit from the Golden Wing Series by Dragon for Cyber Hobby. Suitable for Ages 14 & Up. This is the 1/35 scale USMC M1A1 Abrams Heavy Armor Super Value Pack plastic model kit by Cyber Hobby for ages 14 years and up. This is the 1/72 Scale Gloster Meteor F.1 Plastic Model Kit by Cyber Hobby Suitable for Ages 14 & Up. This is the 1/35 Scale Neubau-Fahrzeug Plastic Model Military Vehicle Kit by Cyber Hobby. This is the 1/35 Scale ZSU-23-4M Air Defense System Plastic Model Kit from Dragon by Cyber Hobby. Suitable for Ages 14 & Up. This is the 1/700 Scale USS CHICAGO CG-11 Plastic Model Kit for Cyber-Hobby from Dragon. Suitable for Ages 14 & Older. This is the 1/72 Scale Sea Vixen FAW.2 Plastic Model Kit from the Golden Wings Series by Cyber Hobby. Suitable for Ages 14 & Up. This is the 1/35 scale Sd.Kfz.250/10 NEU with 3.7cm Pak plastic Smart Kit by Cyber Hobby.